COUNSELLING * COGNITIVE BEHAVIOURAL THERAPY *COACHING * MINDFULNESS * POWERFUL WAYS TO ......CHANGE YOUR LIFE! Hello, my name is Sandra Marston. 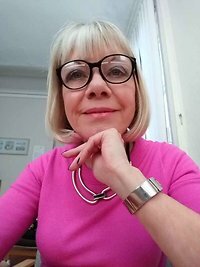 I am a counsellor and a life coach and my passion in life is to help you live a happier, more fulfilling life and achieve your dreams, is that what you want? Imagine how you would feel when you build your confidence and self belief. I am wondering if you want to know how I do that. I offer counselling (including Cognitive Behavioural Therapy) and Life Coaching to help you achieve the life you want. I also use Mindfulness techniques to help you with relaxation, living less stressfully and improving general well being. Often a combination of counselling/CBT, and coaching is the way forward because it offers options of how you and I can work together. But whatever you choose you know that you and I will work together to help you achieve the changes you want to make in your life. I wonder if you have ever thought about seeing a counsellor? I am a qualified Counsellor and CBT Therapist. I offer a range of talking therapies including Cognitive Behavioural Therapy. I believe also that Mindfulness can help us live calmer, more balanced lives. You can have an appointment in Macclesfield SK10. Is that good for you? I am also a qualified Life Coach and Personal Development Trainer. I also offer Cognitive Behavioural Coaching and NLP. Mindfulness is a powerful and effective tool for managing your life in a more calm and effective manner. It can be as effective as medications in reducing stress, depression and anxiety. Mindfulness has a positive effect on our overall well being, often reducing blood pressure and generally helping you to deal with life's difficult situations. That sounds good, doesn't it? I work in Macclesfield, Cheshire. "Problems do not go away. They must be worked through or else they remain, forever a barrier to the growth and development of the spirit." Counselling offers you a safe place to get to know yourself a little bit better. It is a place where you will not be judged, given advice or told what to do. Does that sound good? You will be given time and space to explore your thoughts and feelings and get some balance back into your life. Remember, every minute spent angry is sixty seconds of happiness wasted. CLICK HERE to find out more about life coaching and find out why working with a life coach is an empowering experience. Hundreds of people have benefited and changed their lives dramatically. Is it time for you to do the same? Can I help you rekindle your inner spirit? Maybe you would like to have a new career? Perhaps you are going back to work after a break and it feels a bit scary. Perhaps you would like to work towards a dream you have always had but been too cautious to give it a try. Perhaps you lack confidence. Maybe you want to stop procrastinating and putting off decisions. One to one coaching can help you achieve these goals. If you can't use your qualifications , use your talents. Within easy reach of Stockport, Congleton, Crewe and Manchester.